According to studies, over 80 percent of internet users use search engines to find information, services or products. Of these again around 80 per cent only look at the results of the first page, 70 per cent of that only the first three results. The best internet site hence is useless if it is not listed in the top of search results. Exactly that is achieved with SEO (search engine optimisation). To improve your ranking on Google, we recommend these 100% free SEO tools. First: a little bit further Information about SEO. SEO is differentiated between OnPage and OffPage optimisation. Certain keywords, for instance, belong to OnPage optimisation aiming to complement the search words on potential customer: It can hardly be expected that someone looking for information for an SEO agency would type in the word “printing cartridge” on Google. Besides that the foundation and structure are important, also loading times mustn’t be neglected – nobody likes to wait five minutes to get displayed the desired contents finally. A part of OffPage optimisation is the so called linkbuilding. The more links exist to an internet page the more this is valued by Google. However, quality is crucial here and not quantity. SEO doesn’t have to be expensive. First you have to check how much an internet page is search engine optimised at all and where SEO is potentially needed to act. Afterwards you could solve the problems yourself, or the seo-nerd supports you with a sustainable search engine optimisation. A first analysis you can conduct yourself first, however, for this numerous free SEO tools are available on the net. Is there a tool delivering comprehensive SEO data? That doesn’t store the entered and analysed data? That can be used completely free of costs and is not just a lure for a paid version? And does this entirely independent from governmental or other organisations? It does: Varvy.com is a private project by Patrick Sexton, the developer of Moz local, with the aim to enable people with low financial means to make money with well-made sites on the internet. The project is financed sponsors as well as with Patrick’s labour and know-how. The tool delivers an analysis abiding the Google Guidelines. The results are put out lucidly and sorted in a traffic light system, so that it can be quickly identified what is already running well on a site and where more attention is needed. For loading and for mobile matters there are other tests with elaborated recommendations. G**gle knows what matters in sustainable search engine optimisation. The Search Console can be definitely recommended for the search engine giant knows best what he assesses how. An analysis of the site on google.com/webmasters compromises different evaluations like frequent search requests, accesses by crawlers, loading times as well as hints for improvements and a backlink analysis. The evaluation results are first-hand and therefore they can be regarded as particularly meaningful. To configure websites in line with SEO the webmaster tool of the leading company from Mountain View is often used. The Bing webmaster tools are similarly designed and provide just equally good services. The big plus: Microsoft has put together different analysis and report tools here. The data stays, however, limited to the Bing search. More than 90% of search engine hence are not taken into account. To get at least a bit more independent from Google this tool is, however, still recommendable. Like the competitor Sistrix Xovi also offers for beginners or blogger wanting to learn the basics first in this topic, a free SEO tool with Domainvalue. The data are sufficient for a first overview, who needs more will switch to the paid version soon, though. 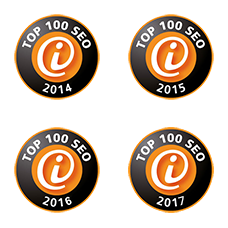 As with almost all paid SEO tools, there is also a free version at Ryte.com. The free version is ideal for small websites with a maximum of 100 subpages. A project can be created in the dashboard, which is analyzed regularly. This gives you all the important data to analyze your website. Through the monthly crawls, you can check how your actions have worked out. The free SEO tool from Ryte.com also offers the opportunity to monitor five keywords and perform five WDF * IDF analysis. With the SEO tool diagnose you can conduct an analysis concerning OnPage optimisation and obtain tips for improvements. After entering the URL and one or more relevant keywords a graphic evaluation is generated: the greener the better. Furthermore possible optimisation potential is displayed. 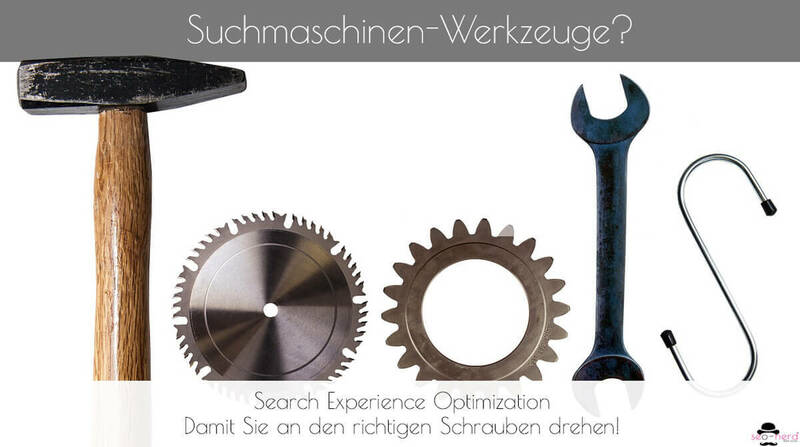 Seorch.de puts OnPage analysis in the spotlight, and also various OffPage values are provided. Especially interesting here is the semantic analysis, the SEO tool “Google Suggest” and the Rank Checker. The analysis is also followed by an assessment and improvement tips. The SEO analysis Toolbox by webseoanalytics.com is not a 100% cost-free, but is so much more comprehensive that it definetly fits into the elite of free SEO tools. The SEO check by seobility.net offers what the name suggests: a check of important SEO facts with a list of what is going well and where there’s need for optimisation. The free tool is quite elaborate and particularly something for beginners as well as suitable to get a first overview. Most SEO analysis tools concentrate on OnPage SEO data. 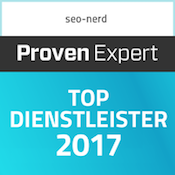 Seolyser.de shows you more: Backlinks and internal link structure are examined as well as usability and data protection factors. At the end you may even download the analysis as PDF. The tool can be used at no costs. Loading times play an often-underestimated role in search engine optimisation. To test the loading times of your website, GTMetrix is up for grabs. With this SEO tool a speed test is conducted after entering the URL, for which two different tools are utilised. They are YSlow by Yahoo and PageSpeed by G**gle. All loaded files and response-times are evaluated and visualised. Step by step it is explained what must be optimised; additionally, there are great explanations how to solve the occurring problems professionally. Users are impatient by default. The best content therefore is of no use if the user has to wait for it too long. How fast a site loads hence is an important ranking factor for Google, as well. With Pingdom you receive fast and detailed reports about the loading times. The degree of optimisation is stated as well as the loading time of single elements (so that further optimisation potential can be identified fast). With Google Pagespeed Insights, you can test the speed your site and get suggestions for optimization. Google has also linked a large database with a lot of helpful tips for pagespeed optimization. In addition to the desktop speed, Pagespeed Insights also tests the loading time on mobile devices and the mobile user-friendliness. You can download optimized images, scripts and stylesheets with one click. TinyPNG optimizes images, even JPGs although the name suggests something else. The optimized images are usually 50 to 80% smaller and with full transparency. Meanwhile, the optimization also works with animated PNG images (beta). Image optimization saves time and bandwidth. The W3C.org (world wide web consortium) standardises techniques of the internet. Thus it’s obvious that a high-quality search engine optimisation can’t do without a Markup & Stylesheet Validator Tool. This SEO tool analyses standards of the HTML and CSS source code which is mandatory for every SEO. The search engne giant has officially confirmed it. Responsive Layout is a ranking factor. On Google Mobile Friendly Test you just type in the URL you want to analyse and immediately you receive an evaluation how responsive your site is. The SEO tool Social Media Optimizer on smo.knowem.com is absolutely 5 stars worth! It generates a view on your OpenGraph and other Meta-information. If you would like to set up redirections you can save yourself a lot of work with Httpstatus. The tool provides besides a status code for the entered URL also possible redirects that can be downloaded as *.csv file. With microdata you could help search engines to understand the content of your website. For search engines the hardest element to understand are videos. The video snippet generator creates a matching markup. Easily create XML sitemaps that can be submitted to Google, Bing and other search engines. This tool helps the bot to crawl your page. In addition, you get information like the number of pages,or a list of Broken links. This free online service performs a deep analysis of the configuration of any SSL web server on the public Internet. There are also configuration instructions and solutions for known problems. SSL test provides clear and accurate instructions to save administrators and programmers time. For a sustainable optimisation of sites increasing the readability of websites is fundamental. The Instant Eye-Tracking tool by EyeQuant contributes a valuable share for this. After registration you can have two websites tested on their readability for free. The analysis shows the ten most attention-seeking points on a site and gives tips how to design it more optimal and subtle. Rich Snippets are a great solution to stand out in the SERP from the competitors. They’re created by additional HTML markups that can be tested with the Rich Snippet Testing Tool by Google. Google Analytics is a powerful tool helping website owners understand better how the market works. From SEO viewpoint it is useful for: to generate visiting duration and bounce-rate of single pages and thereby identify bad contents, find 404 errors and eliminate them, A-B testing and much more. Hotjar pools useful tracking tools like user recordings, form monitoring, heatmaps, or conversion funnels (that way you can track the user’s path to purchasing something). The basic version is free. bündelt einige nützliche Tracking-Tools wie Nutzer-Recordings, Formular-Überwachung, Heatmaps oder Conversion-Funnel (damit kannst Du den Weg des Users bis zum Kauf nachvollziehen). Die Basis-Version ist kostenfrei. The question of data protection with Google Analytics is let’s say a matter of opinion. Piwik has established an alternative. When upgrading the analysis tool with plugins, it is similarly powerful as the market leader. Advantage: Piwik doesn’t send the data to the USA but stores them on their own server. ThinkWithGoogle can test the mobile usability, but also the pagespeed and more. There is useful information about why this optimization is needed. If you fetch the report, you will see that Google still finds further optimization potentials. The performance of different websites can be compared with a randomly selected test group of visitors to a website. It is possible to define the percentage of users who should participate in the test, and of course you can choose the target to be tested. One goal is, to find out which version gets the most conversions. OpenWebAnalytics(OWA) is an open source web analytics software that can be used to track and analyze, how people use a web page or web applications. Another Google Analytics alternative, as well as Piwik. Every SEO follows a strategy you would think. So that your SEO strategy is orientated to sensible keywords the data kraken itself makes a keyword planner for the own database available. That way you can provide yourself on one hand with relevant ideas for your own offerings and on the other hand you can have exactly evaluated how often keywords were searched for on verage in the past 12 months. The cost-free SEO tool ContentLook has a look at your content marketing strategy and focuses on the 6 aspects blogging, traffic, social media, SEP, links and authority. Duplicate content doesn’t only exist within one’s own 4 SEO walls. It’s even worse when others nick your unique content for their own like craws. The SEO tool Copyscape doesn’t only tell you if someone else has the same content but also precisely who, what and on which domain. 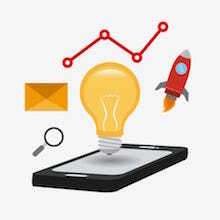 Texts are a core element of every search engine optimisation. Google gets better and better at recognising if texts are good and written in an understandable way. The so called Flesch value gives cues how easy or how difficult a text is to read. The free Text Analysis Tool gives you a Flesch score for a text and also hints and recommendations how to improve a text. In a WDF*IDF analysis texts of different websites (and domains) are compared with each other that are optimised on the same main keyword. The comparison is based on terms that are often used in all these texts. With the WDFIDF tool you, on one hand, get an overview over competitors’ sites (in relation to the main keyword). On the other hand, you receive recommendations, which words you should include in your texts to rank better. With the additionally implemented WDF*IDF text assistant you can check the optimised text immediately. Ubersuggest combines data keyword suggestion tools to give you tons of long tail keyword phrases to play with. And best of all it’s free! UberSuggest is a way to quickly find new keywords not available in Google Keyword Planner. Siteliner is a Duplicate Content Checker, unlike Copyscape you can check internal duplicate content. Siteliner examines a given URL and presents the duplicate and unique content graphically. You can also see your Broken-links and related pages. Keywortool.io is another great KeywordPlanner and UberSuggest Alternative. Keywordtool.io is not only for Google, it is also a free Youtube-, Bing- or Amazon-Keyword Tool. Semager finds terms related to given keywords and related web-pages. It is a semantic search, which also offers a website test, where you can see the most important words of the page and a semantic optimization degree to certain terms. At SEO-invasion, you’ll find a small tool for creating various (through an optional permutatio) keyword pools. In addition, you can define your combination length, which excludes brand- or individual terms for example. 100 hits quite exact. Free monitoring of the domain is also available. Up to five search terms can be entered for analysing the ranking and afterwards a position check is conducted in a 3-day interval, with a weekly mail of the evaluation as an Excel file being sent. An extra tool to establish the ranking of a site? I can see the position in the ranking on the search result page, can’t I? The problem of the exact ranking position is that Google Search is always personalised. When opening Google in one’s browser and searching for a keyword you always obtain a search result page tailored to oneself, depending on search location and history, for example. With the Ranking Check you receive the neutral ranking of a site. Sistrix Smart is a very light, but still usable version of the professional analysis tool by Sistrix. If you wish to “just have a look” first, what SEO could do for your site this beginners’ tool is the way forward. The Google Search is usually individualised. What Google displays on the SERP is very dependent on your own searching behaviour. If you want to know what the ranking for a certain keyword really looks like you should try a tool like the Google Rank Checker. You can look up country-specific rankings, local rankings as well as rankings of mobile devices or desktops there. The MajesticSEO analysis tool is limited to analysing backlink profiles. However, it also creates in contrast to the SEO tool by SEOkicks an overview on the “trust flow” of the linking domain. Advanced analyses are coupled to having to pay with this tool hence we won’t go into it any further. The SEO tool by SEOkicks also checks backlinks. You can see the number of links and learn the domain ranking of the respective sites. This enables you to optimise your webpage in the perspective of a high-quality, sustainable link- building. 200,000 fresh links per site. Get an in-depth analysis of the freshest live backlinks. Download 1,000 links. OpenLinkProfiler seems to offer more than the most other backlink-checker and it is good looking. Hardly anything drives sells as much as recommendations from others do. When making use of a shop or service provider as a new customer you like to know which experiences other customers have made with their offer. ProvenExpert pools all customer feedbacks and grades them using a star system in the Rich Snippet display in the SERPs. Facebook was spoken dead many times and still it seems alive and kicking from year to year. When wanting to reach people with your brand you can’t avoid Mark Zuckerberg’s portal just due to its sheer mass of users. With regular posts in a consistent design and an individual address a fan base can be built up over time. FB should not be misunderstood as an advertising platform. It is a forum to get in touch with users and to exchange contents with them the brand stands for. If heeding that you will do much for your brand building. Twitter is something like the eternal talent among the social networks: the big breakthrough is always just around the corner. For brand building the short message provider is still useful, though. In contrast to Facebook posts should be made much more frequently so that you get noticed at all. Twitter is ideal for spontaneous comments. By using own pictures the visibility will be higher. Especially for web shops in the branches beauty, fashion and lifestyle Pinterest is your first address. This platform basically works as a pictures network. Attractive product photos, funny images, but also interesting graphics quickly find a grateful audience here that also like to share the contents. optional auch mit Text) versehen werden. Selbst wer noch keine Followers hat, kann dadurch von anderen entdeckt werden. Das macht Instagram zum einem and optionally text). Even if you don’t have followers yourself yet you can be discovered by others. This makes Instagram to a wonderful instrument to attract attention from users who haven’t heard of your brand before. However, your own pictorial language is required for that which may be authentic, honest and also distinct. YouTube has subtly and secretly grown to the second most important search engine after Google. Therefore it’s always a good idea to upload your own videos on YouTube. If the video is good and the description is unique and SEO-just you might have a chance to reach a high ranking with the video. Publish your Content at the right time, reach more customers and increase your engagement. FriendPlusMe is a great cross-promotion, content management and scheduling solution. Friends+Me supports publishing to Google+, Twitter, Facebook, Pinterest, Linkedin and Tumblr. Buffer makes it super easy to share any page or peace of content you’re actually reading. Whether you are browsing the web or on the go, you can easily add content to your queue with our browser extensions and mobile apps. Save time managing your social media Schedule, publish and analyze all your posts in one place. Buffer works with Twitter Profiles, Facebook (Profiles, pages and groups) LinkedIn (Profiles and pages) Google+ Pages, Pinterest (Multiple boards) and Instagram Profiles. Hootsuite is the most widely used platform for managing social media, created by Ryan Holmes in 2008. Hotsuite is build to save time, increase engagement analyse social media profiles. With Hotsuite you can manage up to 100 social profile and it works with 35 social netzworks. MailChimp is a online email marketing solution to manage subscribers, send emails, and track results. Mailchimp offers integrations with a lot of other programs (WordPress, SalesForce, ..). Create beautiful, professional campaigns for free. No design or coding experience is necessary for Mailchimp. If you have 2,000 or fewer subscribers, you can send up to 12,000 emails per month absolutely free. You can use the Panguin-Tool to connect with you Analytics Account and have a look on your organic traffic. The latest Google Updates are highlighted here so you can see immediately if you got a penalty. Barracuda itself doesn’t see or saves your data nor is in contact with Google. See websites like a Google Bot! BrowSEO shows you websites from a bot’s point of view. No images, videos or scripts – only what a bot can see. Thus you can identify and fix problems fast. BowSEO is also available as an app for iOS and Android. The Screamin Frog SEO Spider is a website crawler which allows you to crawl page URLs and call up important onsite elements. Whether title tags, headings, descriptions or canonicals. There are filters for known or possible problems. Xenus Link Sleuth checks websites i.a. for broken links. The audit affetcs links, images, frames, plug-ins, backgrounds, local imagemaps, stylesheets, scripts and Java-applets. Xenu shows the results as a list of URLs that can be sorted by different criteria. Like ScreamingFrog and Link Sleuth ist BeamUsUp is a crawler. With BeamUsUp you can quickly discover broken links, find missing titles or identify duplicate content. With a convenient filter the major difficulties can be displayed. With Google Similar Pages, a browser plugin, you can find websites that are similar to the page you are currently visiting. This plugins enables to find more pages about a certain topic, find competitors or saving time in research. All Google Updates from 2000 till now, the complete Google Update history, summarized by the seo-nerd. The Google Updates with name, date of rollout, and an explanation of what these updates meant, as well as other sources. Including important updates such as Panda, Penguin, Hummingbird or Rankbrain, but also less famous ones like Cassandra, Esmeralda, Bourbon or Dominic. You have no idea about a smart domain name? The Domain Namen Generator from onsite.org may help you. Based on name, product, company form and a description, useful domain names are suggested here – not just by combining terms. Sometimes there are 512 pixels, then again 600 pixels, that Google provides for the title in the search results. If your title really fits, you can check with the Pixelmeter. A „yardstick“ for your title tag. Currently in the beta version, the Google Data Studio allows you to create individualized reports with visualized data and share them with others. The tool aggregates data from various sources, such as Google Analytics, AdWords, YouTube Analytics, MySQL, Google Spreadsheets, and more. Thereby web analytics data can be illustrated for non-nerds. The reports can, for example, be individualized with a company logo or background images and shared with other users, such as colleagues or clients. 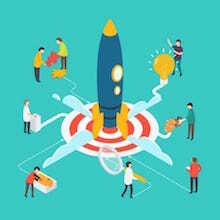 Now you have examined your website in detail and received various evaluations that surely have shown a potential for improvement here and there. Now it’s time for the actual search engine optimisation. Make sure you don’t compose contents only for search engines but for visitors. High-quality content provides highly qualitative information. It has to be unique and offer literal added value to the reader. Relevant keywords implement themselves usually on their own, related terms and paying attention to the semantic account for the final touch. The link building also benefits from high- class contents, for interesting sites are commented on by visitors, recommended, made public and linked on social networks. Apart from all that, it can be advised that registering your company in directories can be useful for link building. 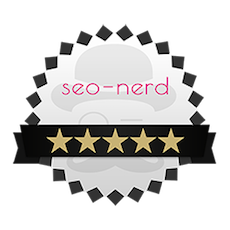 Contact the seo-nerd – he knows how it’s done and also has access to further SEP tools that are not for free. 13. Having difficulties in optimising?